Dennis Dixon: Wightman and the General Interpretation of Article 50 | Brexit and Ireland The recent CJEU decision of Wightman v Secretary of State for Exiting the European Union  3 WLR 1965 interpreted Article 50 of the Treaty on European Union as giving the United Kingdom a unilateral right to revoke its notice of withdrawal from the EU. Academic comment has naturally turned to whether the decision was correct, and whether the decision permits a tactical revocation so that the withdrawing Member State can reset the clock on negotiations. This contrasts greatly with the common argument that Article 50 is a “trap” or that it “tips the balance of negotiating power massively in favour of the remaining EU states”, and that it is designed to favour the EU to the detriment of a withdrawing Member State. The two-year time limit is there to guarantee a sovereign withdrawal, it is not an invitation for the EU to apply time pressure, even if it creates that potential. I will argue that the objectives of Article 50 identified by the CJEU vindicate a thesis that I set out in an article published by the German Law Journal, “Article 50 and Member State Sovereignty”, and is entirely in keeping with pre-Brexit referendum literature on Article 50, including several decisions from national constitutional courts. Properly interpreted, Article 50 creates formal equality between the EU and the withdrawing Member State. Contrary to the EU’s interpretation that has set the landscape for negotiations by determining that future relationship issues” can only be finalised and concluded once the United Kingdom has become a third country”, Article 50 actually allows for all the business of withdrawal to be discussed and agreed. It should not be a surprise that the Court held that respect for Member State sovereignty was the first object of Article 50. This conclusion is found in decisions of Member State Constitutional Courts. The Spanish Constitutional Tribunal said that “sovereignty is always ultimately assured” by the right to leave the EU – Jochen Hebst summarised this part of the Spanish decision as holding that “the right to leave will have a promoting effect on the European integration process rather than being a contradictory and explosive element.” The German Constitutional Court’s Lisbon Case decision used Article 50 to reconcile deeper European integration with state sovereignty. The Czech Constitutional Court saw Article 50 as an “explicit articulation of… the continuing sovereignty of Member States”. Viewed in this context, the CJEU in Wightman affirmed what should have been obvious: Article 50 existed to provide a sovereign and orderly means of departure. Pre-referendum literature did raise doubts on whether Article 50 Agreements needed to be supplemented by full Treaty Amendments, or by separate Member State ratification of a “mixed agreement”. However, these are issues as to the procedure for how the EU enacts an agreement on certain future issues before the Member State departs, not whether such agreements could be reached prior to the Member State’s withdrawal. The EU’s interpretation of Article 50 in its Council Decision authorising the Commission to open negotiations and the corresponding European Parliament resolution is that the withdrawal agreement can only address “divorce issues”. The future relationship was a matter for international agreements that the EU could only reach with a Third Country – so agreeing any future arrangements must wait. On that view, Article 50 must achieve either a “cliff-edge Brexit” or a “blind-Brexit”. The withdrawing State has two choices. (1) It can regain full sovereignty after two-years, but with no replacement arrangements with the EU. (2) It can agree to continue existing arrangements with the EU, but minus political representation in EU institutions (i.e. the stand-still transition), with no idea as to what follows. “Sovereign withdrawal” and “orderly withdrawal” became either/or options. Furthermore, achieving an orderly withdrawal required not just deferring regaining sovereignty beyond the two-years anticipated by Article 50, but to cede previously pooled sovereignty to the EU for the uncertain duration of a stand-still transition. Only by viewing Article 50’s objectives as being to favour the interests of the Remaining Member States can such an outcome be viewed as normal. It is important to turn to what the CJEU’s approach to the objectives of Article 50 means for the withdrawal process as a whole. Wightman only answers how they affect the right of a Member State to unilaterally revoke the decision to withdraw. The Czech Constitutional Court summed up what a sovereign orderly withdrawal process means: “an expression of the common will of the Member States to address their future relationships by agreement, consensually, and comprehensively”. The correct perspective to understand Article 50 does not seek to promote the EU’s interests as against the withdrawing Member State, but seeks to enshrine every Member State’s sovereign right to leave the EU. Article 50 supports the sovereignty even of those who plan never to un-pool their sovereignty from the EU, making their choice to stay a positive choice, as Herbst argues. The CJEU makes no suggestion that the “orderly fashion” objective exists for the benefit of the EU alone. An orderly process makes the sovereign right to withdraw effective. Furthermore, as the Latvian Constitutional Court observed, it protects all Member States from the disruption of an unnegotiated unilateral departure. To read down the scope of Article 50 risks guaranteeing such disruption for the EU, except insofar as it can rationalise its own interests as “divorce” issues. It is as Frederico Fabbrini argued: Article 50 was a mechanism to “provide solid protections of a member state’s rights, while being respectful of the equality of the member states”. Article 50 exists for the protection of both sides, not as a protection and deterrent against secession. It follows that Article 50 does not require the EU to restrict the scope of withdrawal negotiations. The objectives identified by the CJEU in Wightman can only be achieved if Article 50 creates a process that is orderly for both sides, and respects the right of the withdrawing Member State to leave or (post-Wightman) even agree to stay. Otherwise the provision would not advance the position of Member States from the pre-existing options of negotiated Treaty amendments or unilateral denunciation. This should not be a surprising conclusion. The leading (possibly only) direct judicial authority on how to carry out a consensual secession is the Canadian Supreme Court decision in the Quebec Secession Reference Case. The Court held that there are two “legitimate majorities” in any democratic secession, neither trumps the other, and everything is on the table for a negotiation respectful of the interests of both sides. It is true that the Canadian decision is highly aspirational, the Court recognised at : “the distinction between the strong defence of legitimate interests and the taking of positions which, in fact, ignore the legitimate interests of others is one that also defies legal analysis.” A party that ignores the Court’s aspirational principles would pay a price in “legitimacy” alone, the Court speculating that there might be “international ramification”, see at . But it is also unclear why Article 50 should be interpreted to legally forbid the EU from pursuing such an aspiration and instead require that the subject matter of negotiations be strictly limited. Such a restrictive interpretation has been called into doubt by the CJEU’s identification of broad and generous objectives for the provision. The parties may choose their “red-lines”, but EU law is neutral, promoting “orderliness” as a general proposition rather than the particular interests of either side. Possibly we have here the answer to the question of whether Article 50 permits a purely tactical withdrawal of a notice. If the price for abusing Article 50 rights by operating the negotiations as a trap is paid only in “legitimacy”, why should this not apply to a Member State who makes a purely tactical revocation of an Article 50 notice? Abusing the potential for action allowed by Article 50 in both cases is highly subjective, so why must the latter alone be justiciable? Furthermore, to degrade Article 50 into a “trap” makes it harder for future Member State Constitutional Courts, particularly the German Court, to rely on the right to leave to reconcile European integration with state sovereignty. 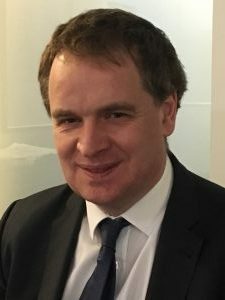 Dr Dennis Dixon is a lecturer at the Institute of Law, Jersey, and a Legal Adviser at the Law Officers’ Department, Jersey. All opinions are his own. The recent CJEU decision of Wightman v Secretary of State for Exiting the European Union  3 WLR 1965 interpreted Article 50 of the Treaty on European Union as giving the United Kingdom a unilateral right to revoke its notice of withdrawal from the EU. Academic comment has naturally turned to whether the decision was correct, and whether the decision permits a tactical revocation so that the withdrawing Member State can reset the clock on negotiations.